Welcome to my Urban garden. 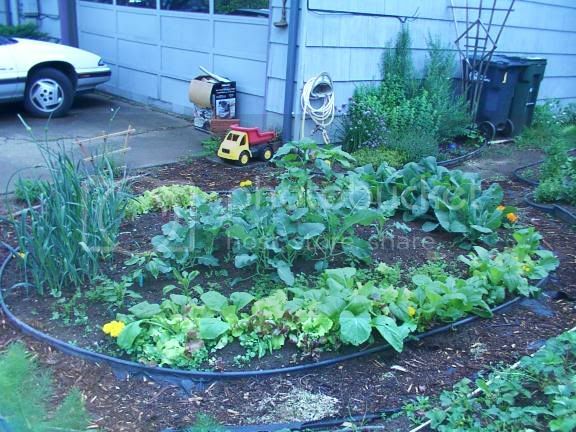 Living in the middle of Olympia, just blocks from downtown, I have started growing my own food. This is the only truly sunny spot in our yard because of the wonderful greenbelt of maple trees behind our houses. So here is where I put it. It sure is turning out beautiful this year! Here are the tomatoes. 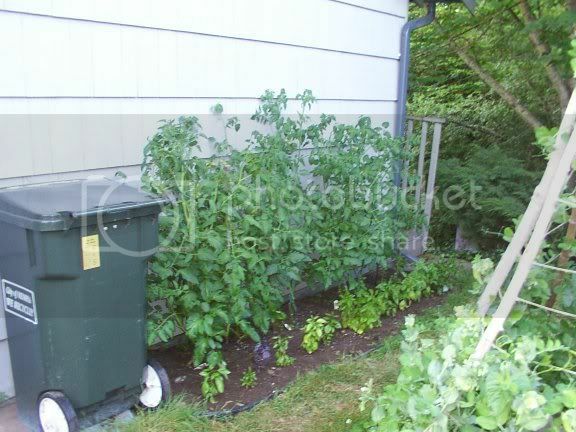 By the end of last year, I had these tomatoes about 5 ft tall and had to be staked to the garage wall. lol! 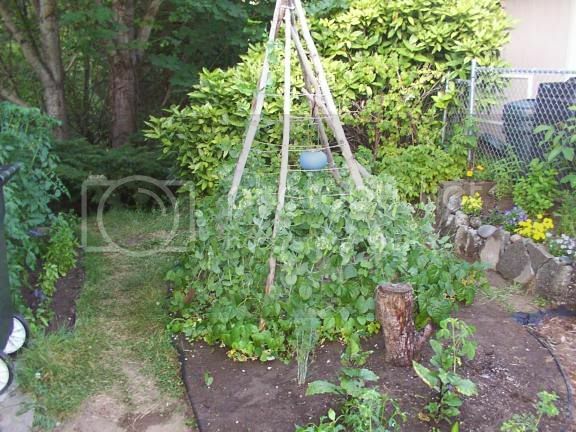 Here is my bean teepee. And my perennial herb garden... the parsley has self seeded again. I love that stuff! It is right under the hose spicket, so I am guessing it is happy there. 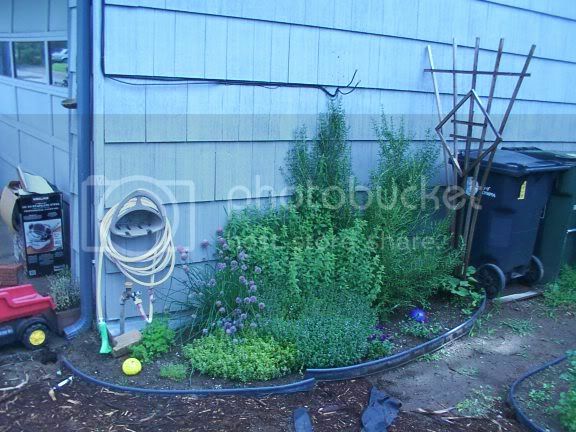 I hope that rosemary plant will come up and cover the garbage cans. It grew so well last year.